Enter The Dragon was a landmark movie in many ways – It was the first Hollywood-Asian Kung-Fu production, it was Bruce Lee’s last completed movie (he died weeks before the official release), and it featured a never before seen diverse cast of heroes including Bruce, John Saxon and Jim Kelly. After Enter The Dragon, everyone was Kung-Fu fighting. The movie was also an entrepreneurial marvel, costing less than $1 million to produce and filmed in less than three months, yet grossing well over $100 million worldwide. In general, JKD reduces risk based on the notion that a best defense is often an aggressive offense (Fortune favors the bold – you can often turn risk into opportunity). How can you simplify your business model? Are there make vs. buy options you haven’t considered, for example? The less peak investment, the less risk (Enter the Dragon cost a mere $850,000). How can you be more direct with launch and your go-to-market approach? What’s the most straight forward path to launching and if it’s meant to fail, then fail quickly? The less time to launch, the less risk (Enter the Dragon was filmed in three months). How can you be more fluid and adaptive to change? This is where platform thinking comes in – leave several options open for ultimate success (Enter the Dragon was more than just a movie – It sparked a huge Kung Fu industry and it made a huge contribution to the appreciation of Asian culture worldwide. I recently attended an entrepreneurial education event hosted by SDSU that featured three prominent San Diego business investors, representing different risk tolerance profiles; from less to more tolerant: a loan-officer banker, a private equity investor, and a venture capitalist. To my surprise, the loan-officer banker offered the most insightful lending philosophy relevant to Venture Fest teams, not the Venture Capitalist. He presented a decision making framework for making loans, namely the 3 C’s (Collateral, Cash-Flow and Character). If he doesn’t see a lot under each ‘C’, he doesn’t loan money because it’s too risky – There I was thinking – Holy Cow! If I were an institutional or corporate investor judging new business ventures, I certainly wouldn’t see anything under the first two ‘C’s – Collateral? Don’t think you can pawn your house (or your company’s building); Cash-Flow? You’re a cash drain to date. You’re showing up at the boardroom saying ‘bla, bla.. wireless/cloud convergence, sparks, this and that’ – but alls I’m hearing is ’risk, risk, risk’ and my blood pressure starts to rise – so what’s the only chance you have? Play to the third ‘C’ – Character. That’s what you’re selling – character and the ability to be trusted with money because you understand risk and will leverage it to your investor/company’s advantage and will execute with simplicity. Especially as a corporate executive, I would then combine your Character with the risk of doing nothing – and I may be willing to invest. So how does this relate to my Think Big bs philosophy, you may ask? Isn’t that just pointing at more risk? NO – The bigger the problem, the bigger the potential treasure island you’re likely to find (and we (humans) do need to find more islands). Furthermore, if you’re thinking big, you drastically reduce the risk of wasting investor/executive time (another blood pressure riser). Now you’re ready. 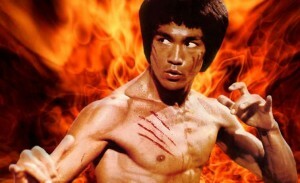 Enter the Dragon!